Virginia Elite Co-founder and Chairman of the Board Steve Stotler brings over 25 years of experience in playing and coaching all over the Chesapeake region to the club. Prior to founding Elite in 2005, Stotler coached for DIVA and NVVA. He also coached McLean High School’s JV team for 2 years before beginning a nine-year stint as the head coach of the varsity team. 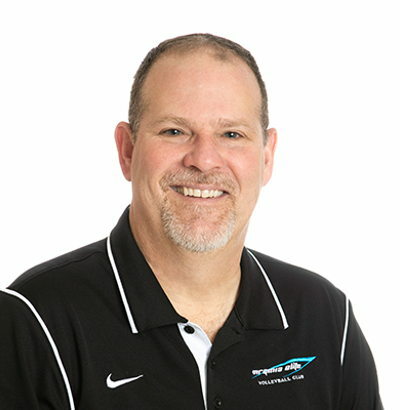 Stotler is now a floater coach and he enjoys designing new equipment to assist in the training of Virginia Elite’s athletes. Stotler received a degree in both Architectural Engineering and Architectural Design from Oklahoma State University. He currently resides in Arlington, Virginia, and works as a Senior Project Architect with Stantec.